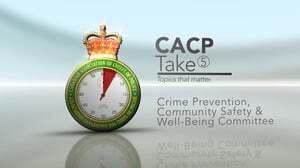 Advise on crime prevention and community safety matters affecting police services across the country. Provide leadership in adopting and promoting a comprehensive, inclusive approach addressing the root causes of crime and social disorder. Developed and maintained communications through letters to Chiefs, as well as meetings and presentations with provincial and territorial ministries. Worked with Chief Paulson (Dryden, ON) to get better context and understanding of IPV from the aboriginal perspective. Prepared a national survey on the use and impact of the national IPV framework which was released in late third quarter of 2018. Continued work with Telus on protection against cybercrime. Examined HUB models throughout Canada for the development of a compendium of best practice guidelines. Release a national survey on interpersonal violence. Continue work with Telus to educate Canadians on ways to protect themselves against cybercrime. Examine various “HUB” models throughout Canada to develop a compendium of best practice guidelines. Examine opportunities to promote and advance community safety planning.